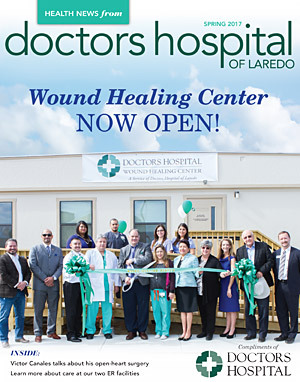 At a ribbon-cutting ceremony on January 31, Doctors Hospital of Laredo celebrated the opening of a brand new Wound Healing Center on the hospital campus near the Doctors Regional Cancer Treatment Center. When you need emergency care, you can find us in two convenient locations and you get the full support of Doctors Hospital of Laredo. Victor Canales was 63 when he found out he needed open-heart surgery. He was active and had been playing soccer just the week before, when he suddenly began to feel out-of-breath and weak.